Little Things Doth Crabby Make – Part XVIII. Automatic Storage Management Won’t Let Me Use My Disk For My Files! Yes, It Will! It’s been a long time since my last installment in the Little Things Doth Crabby Make series and to be completely honest this particular topic isn’t really all that fit for a LTDCM installment because it covers something that is possible but less than expedient. That said, there are new readers of this blog and maybe it’s time they google “Little Things Doth Crabby Make” to see where this series has been. This post might rustle up that curiosity! So what is this blog post about? It’s about stuffing any file system file into Automatic Storage Management space. OK, so maybe this is just morbid curiosity or trivial pursuit. Maybe it’s just a parlor trick. I would agree with any of those descriptions. Nonetheless maybe there are 42 or so people out there who didn’t know this. If so, this post is for them. OK, so that’s either a) something nobody would ever do or b) something that can be done with some elegant execution of some internal database package in a much less convoluted way or c) a combination of both “a” and “b” or d) a complete waste of my time to post, or, finally, e) a complete waste of your time reading the post. I’m sorry for “a”,”b”,”c” and certainly “e” if the case should be so. Ah, Amir! Good to see you visiting here. Hope all is well with you. interesting stuff Kevin. Now how the database chokes on it. Anyone want to predict the error message? What do you mean by chokes on it? What database would be choking? As you have fooled ASM into accepting it, use Transportable Tablespace to see what happens when the database tries to open it. I actually do save very large tar archives this way on occasions FWIW. Kevin, what is the purpose of saving the files in ASM? On occasions I’ve found myself in a lab situation where hosts have about zero usable space and I can’t borrow any more space from the SAN to create a file system. Just odd scenarios like that. 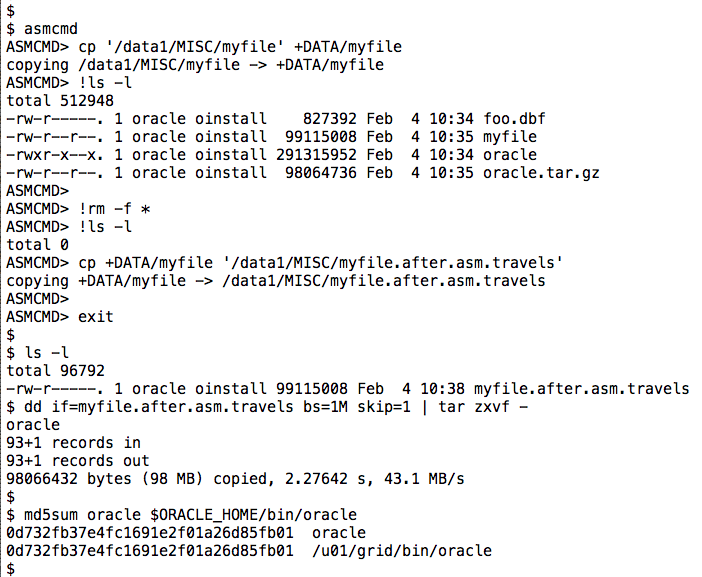 You could install ACFS on top of ASM, unless you just don’t want the files to be easily visible. Yes, you can do that. No surprise. You could setup ADVM and create an Ext3/Ext4 FS in the ASM space. 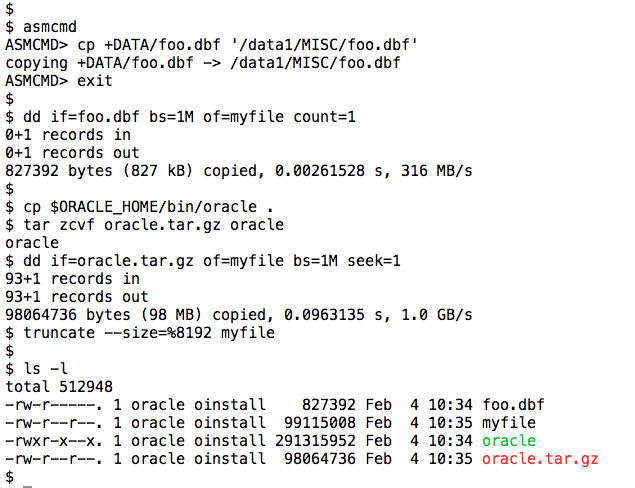 You could create a DBFS in a database in the ASM space. 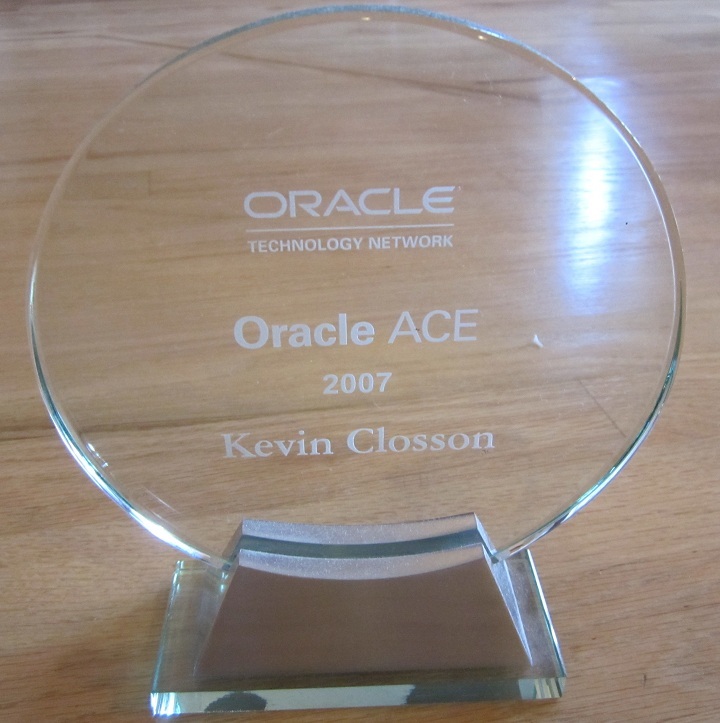 Okay okay so I drank the oracle Kool Aid… I can’t help it I am a sucker for … ooh shiny ! @robinsc : If it alright I think we’ll leave it at that.